Jörg Stender studied business studies at the University of Duisburg from 1976 to 1981, where he later worked as a research associate for business education and vocational training research from 1981 to 1995 and from 1996 to 1998. He also earned his doctoral degree there in 1987. From 1995 to 1996, Jörg Stender was a visiting professor of continuing and adult education at the University of Erfurt. In 1997, he obtained his habilitation in business education. 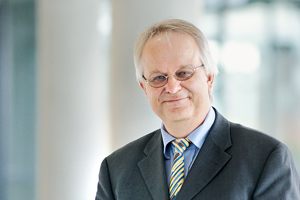 He has been Professor of Business Education at Friedrich-Alexander-Universität Erlangen-Nürnberg (FAU) since 1998. Professor Stender was speaker of the Center for Continuing Education in University-Level Teaching at FAU from 2002 to 2015 and a member of the board at the Center for Research on Teaching and Learning, Innovation and Transfer at FAU until 2015. He has been a visiting professor of professional development management at the Vienna University of Economics and Business, where he is also a judge for the ‘Innovative Teaching’ prize, since 2008. His research focuses on higher education teaching methodology and development, professional development and human resources development, professional development in SMEs, external professional development management, evaluation research, e-learning, and teacher training.